The fact that Michael Collins, head of the Irish provisional government, has a brother living in this city is known to only a few persons. 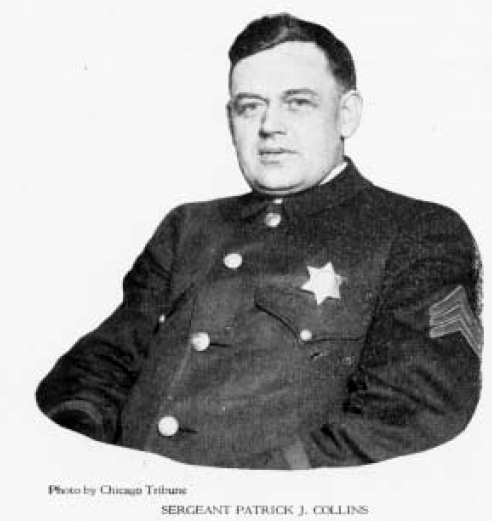 The Chicago Collins-Sergeant Patrick), Collins of the South Chicago police station-is of a retiring nature and dislikes publicity. Policemen who have known him for years never heard him boast of his kinship. Only to his most intimate friends has he ever talked about his brother Michael. 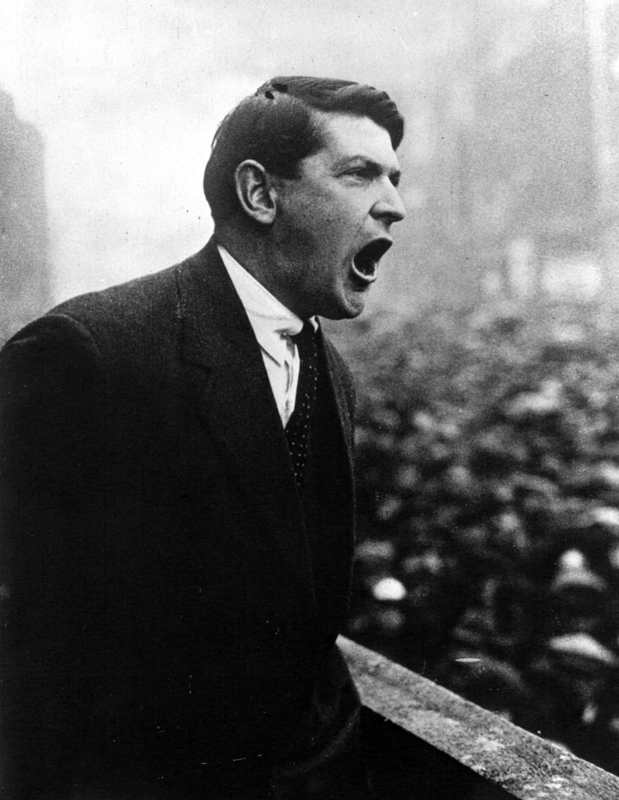 “It is true I am a brother of Michael Collins,” said the sergeant recently at the South Chicago station. “I was born in County Cork at a little place called Clonkakilty. I am 37 years old, and am about six years older than my brother, Michael. “Ten years ago I had a job all fixed for Mike with the First National bank here in Chicago. He bought his passage and was all ready to leave for America when at the last moment he changed his mind. I think he was at the dock, ready to embark, when he backed out. “I came to America in 1901 with an uncle, Thomas O’Brien, who owned a large farm at Camp Grove, III., about thirty mi les north of Peoria. I was then about 16 years old. I worked for my uncle, but after a couple of years I quit the farm and came to Chicago. IRELAND BURIES COLLINS; 300,000 WATCH CORTEGE. Comparison of Michael Collins, martyred chief of the Irish Free State, with Abraham Lincoln and prediction that the former’s death would unify Ireland a Lincoln’s death brought together north and south, was made at memorial services yesterday at the Morrison hotel. Judge Kickham Scanlan said that had it not been for the death of Lincoln the south would not have been back in the fold for at least 100 years. “So let us hope and pray that the blood of this man may prove to be the cement that will soon bind together all the actions of Ireland into a unified, throbbing nation,” he said. One speaker was Patrick Collins, Chicago police sergeant and brother of the slain man. Others were Thomas J. McElligott, president of the United Irish societies, who acted as chairman; William J. Grace, secretary; John A. McGarry, the Rev. William J. McNamee, Dr. John A. Murphy, J. H. Harrington, Michael O’Connor, former Gov. Edward F. Dunne, Richard T. Hanrahan, John J. Mahoney and Senator Joseph P. Mahoney. We sincerely hope that the fratricide strife which was waged with such ferocity for the last few months shall cease and that the mistaken men who are in arms against the Irish Free State will be sobered by this awful tragedy, will bow before the logic of events, and relieve the Irish race throughout the world from the sorrow and humiliation they are suffering because of the guerilla warfare waged by reckless men against the over-whiming desire of the Irish people for peace under the Irish Free State.